A great perk to being a member of the media in the constantly growing and evolving UTV community is that we are able to get our hands on the latest and greatest machines as soon as they’re released and sometimes even sooner. With many units we get them for a limited amount of time that allows us to get some quick ride time and great photos, and with others you get lucky and are able to keep them longer and really put them to the test. Some people strip them down to bear bones and make show cars out of them and resell them, but I wanted to go another direction. The average consumer isn’t going to be changing out his UTV like he changes pants, always a new one waiting in the wings. When people buy these units, they’re usually committing to a few years of payments, insurance and general maintenance fees. It is this reason that I wanted to see just how tough the XP1K would be under average consumer use for a prolonged period of time, with the occasional push to the extremes. Let’s face it, UTVs aren’t like show cars that get trailered from event to event, but get used and abused. I wanted to find out just how durable this UTV powerhouse is and what it took to keep it that way. 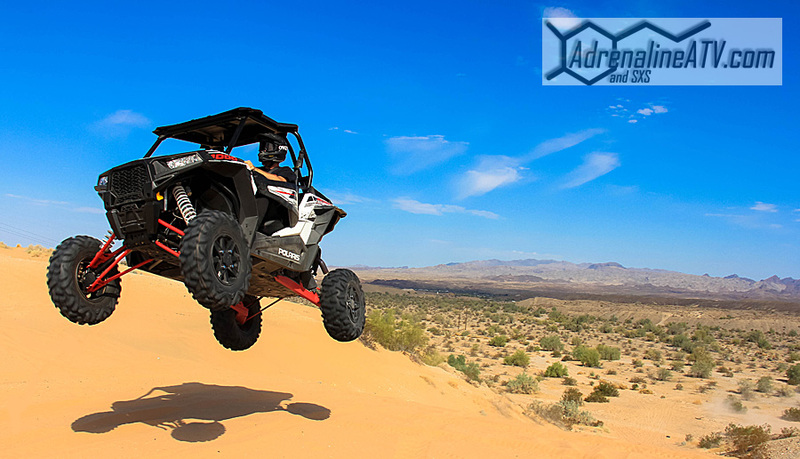 A treacherous race course in the harsh Arizona desert was the perfect place to see just how well the XP1k suspension worked. The initial voyage for the XP1K was the vast Arizona desert, where the throttle would be pinned and the suspension would be put to the test. The “car” would be tested on some of the same roads that are used in some Best In The Desert races, which has also been the demise to shocks and suspension components of previous units. 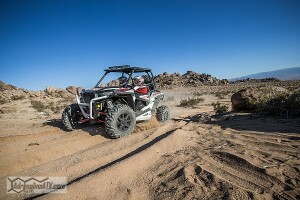 The experience in the XP1K was vastly different in that it felt like a trophy truck gliding over the massive whoops while not dropping below 70 MPH. Getting this kind of power and suspension out of a show room floor UTV was unheard of, but Polaris killed it with the XP1K. Next Cognito Motorsport’s Justin Lambert Wins Longest Race in the U.S.